Writing book reviews can be a really enjoyable project, and profitable if you find an audience online. However, many people haven't written many actual book reviews - the closest thing to book review experience they have is writing book reports in grade school. Starting off with a helpful, detailed outline, however, can make transitioning into writing professional quality book reviews a simple matter. You'll want to describe the major characters and any particularly pivotal minor characters in your review, including their physical description, role in the plot, and relationships to one another. Of course, you'll want to avoid including major spoilers, unless you've been specifically requested not to. Another major part of your review should be the plot of the book. Again, your inclusion of spoilers should depend upon the requirements of the editor or instructor. You'll want to take notes as you read and save these in a plot-specific file for easy reference when you make your outline. In addition to the content of the story, you'll need to address the style and techniques employed by the author. Once again, taking notes as you read is the best way to prepare yourself for writing the outline. You'll want to take note of things like the author's penchant for description, their ability to develop their characters, their choice of vocabulary, their pacing, and other technical details. Once you've laid out the above categories, it's time for the fun part: your opinion on all of these matters. You'll want to address your positive feelings about the characters, plot, and writing style as well as those things you didn't like. In doing so, use specific examples. When it's appropriate, quote lines and passages from the book to illustrate your point clearly. Once you've taken good, detailed notes on these categories, organize your ideas by outlining the paragraphs that will cover each category. 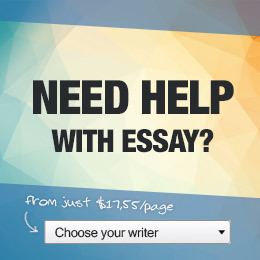 Then compose outlines for the introduction of your book review as well as its conclusion. These introduction and conclusion outlines should touch upon your main points, and strengthen them. Finally, be sure your conclusion is strong and contains either a recommendation to read or avoid the book in question.